Oil Painting for Starters: Oil painting is actually surprisingly easy! But the equipment list can be daunting – so at Limetrees Studio, all your equipment is supplied as part of the course. These are 2 session courses on Tuesday mornings, or occasional Saturdays. There are also some weekend workshops. I teach art-based workshops for calligraphers at societies around the country. I’ve taught in South Africa, Belgium, UK and Australia. I love teaching enthusiastic beginners and empowering people by tapping into their creativity. Here is a list of typical workshops; you’re welcome to choose from this selection or I would be happy to design a workshop based on your group’s needs. 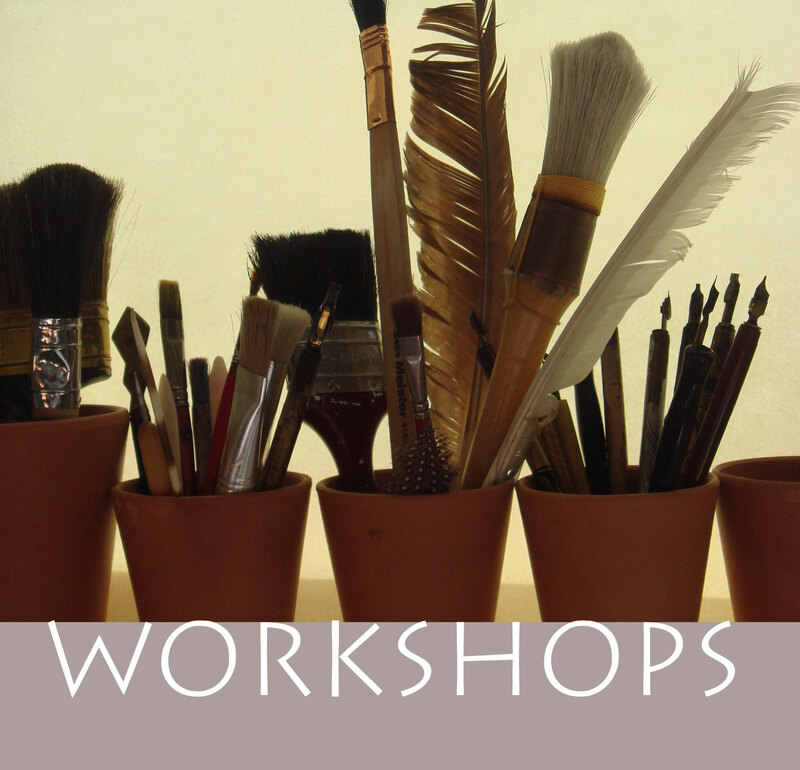 If you Browse the Blog archive in the right hand column, under the correct month (and page), you’ll find out more about actual workshops that have been run. Uncials: the best initial introduction to calligraphy. It’s accessible and you learn pen control.